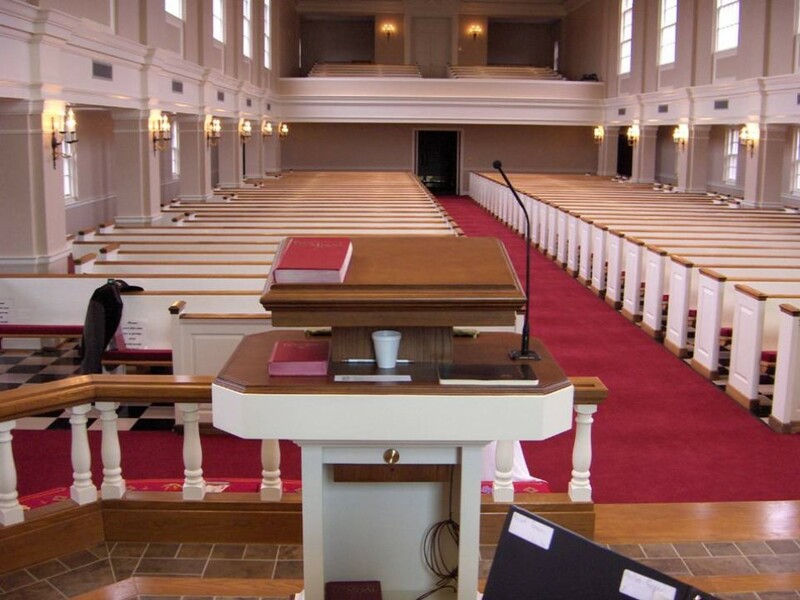 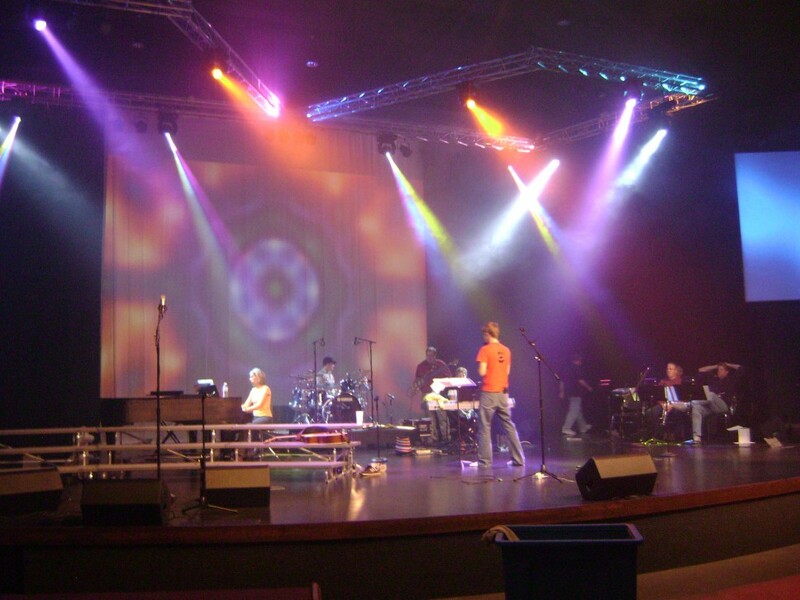 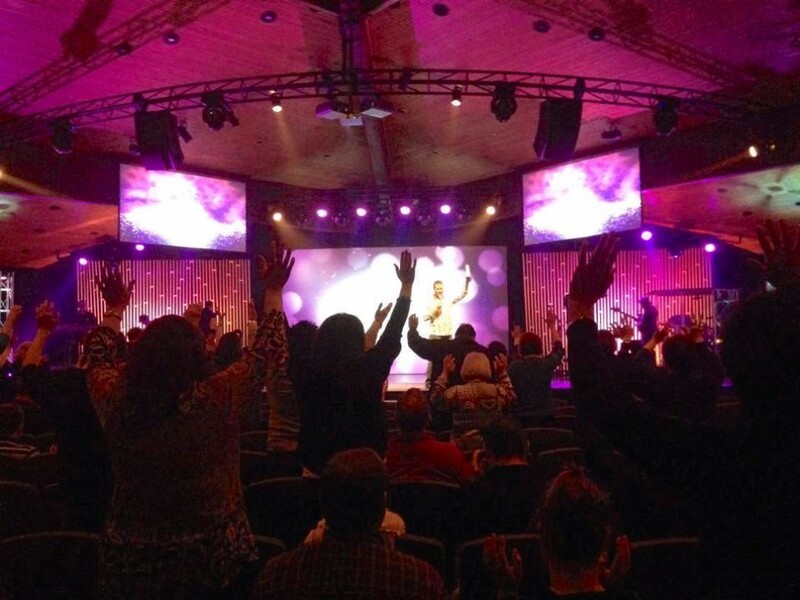 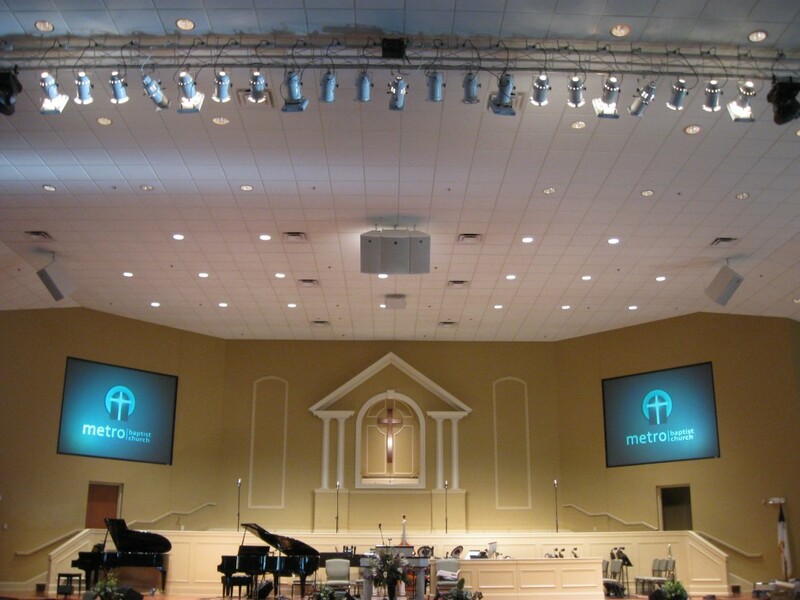 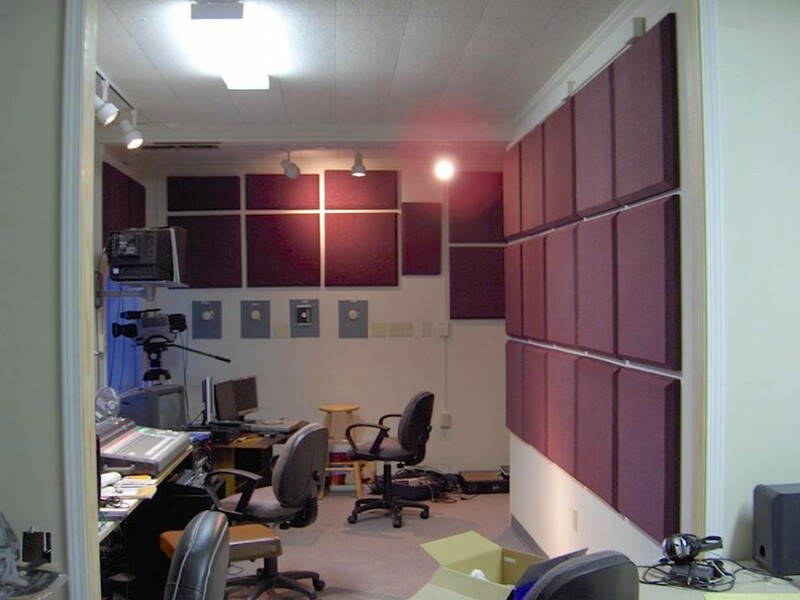 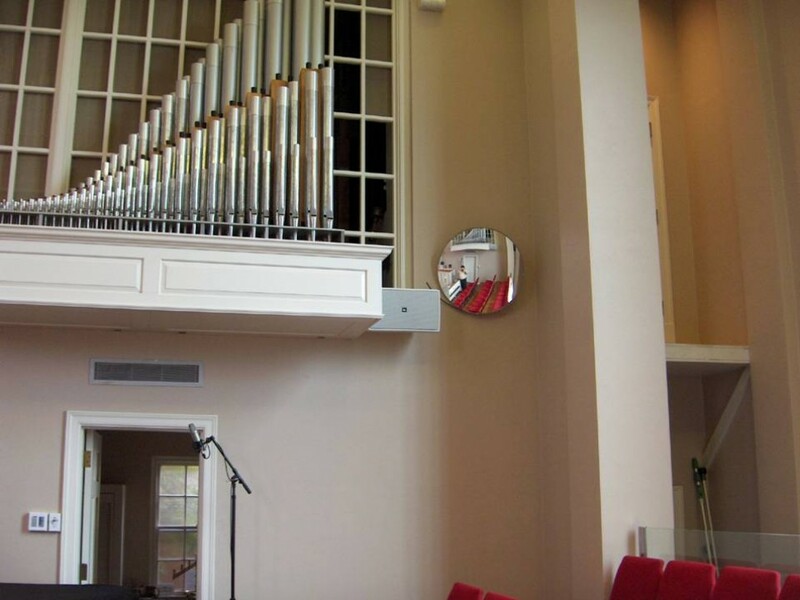 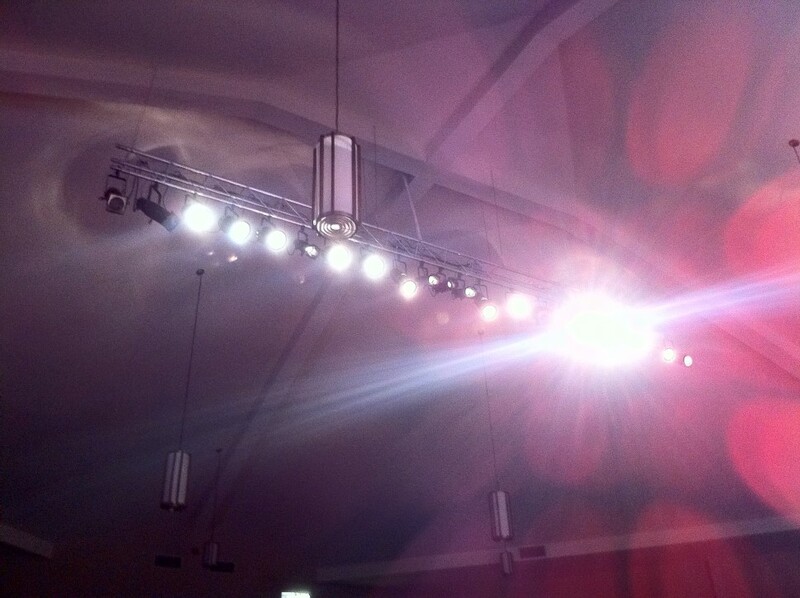 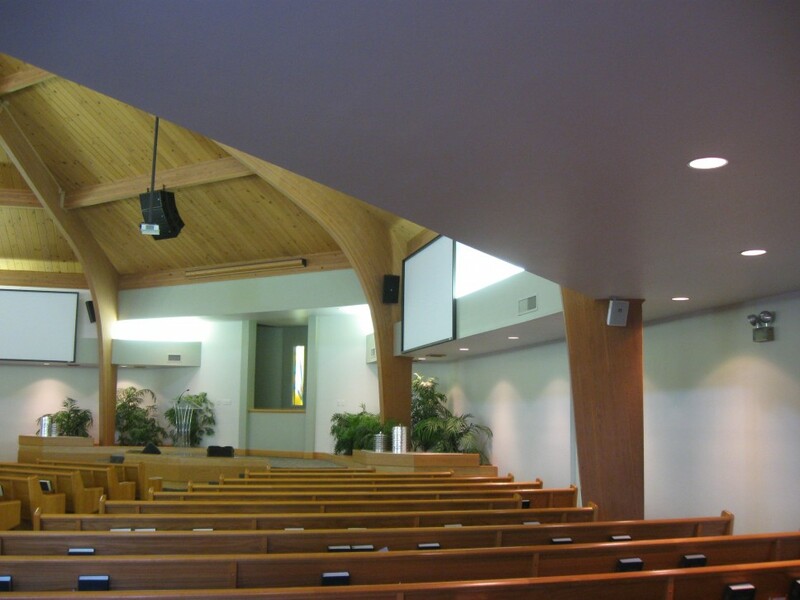 Corner Audio & Video can create full concert-style sound, light and video displays in contemporary worship halls and entertainment venues, or offer discreet, minimally noticeable audio enhancement in traditionally styled sanctuaries and chapels. 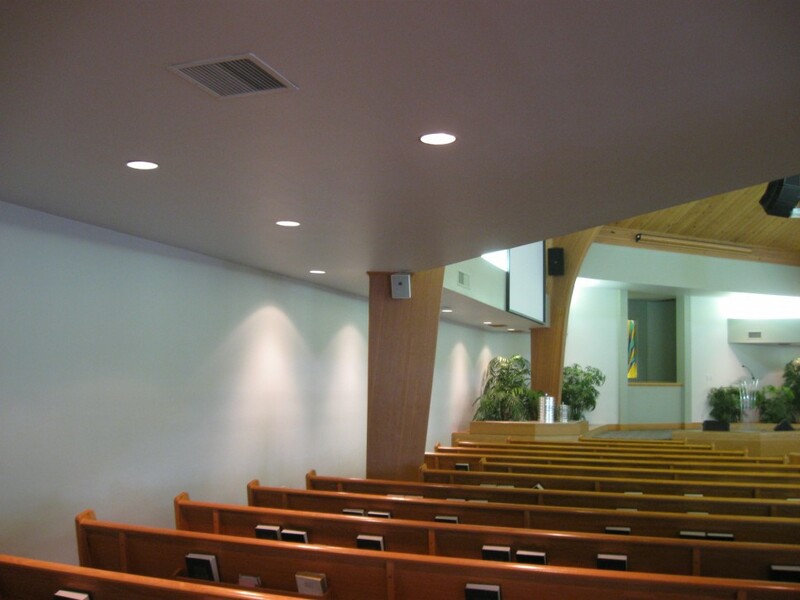 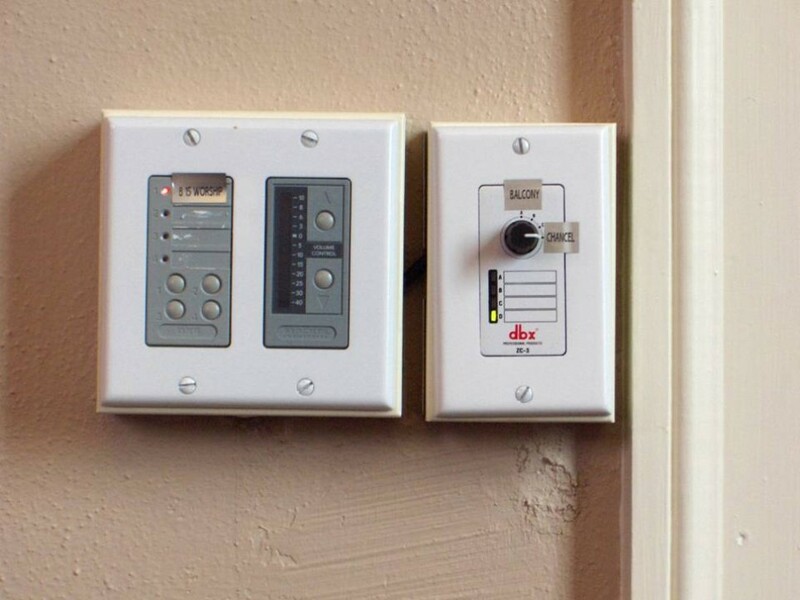 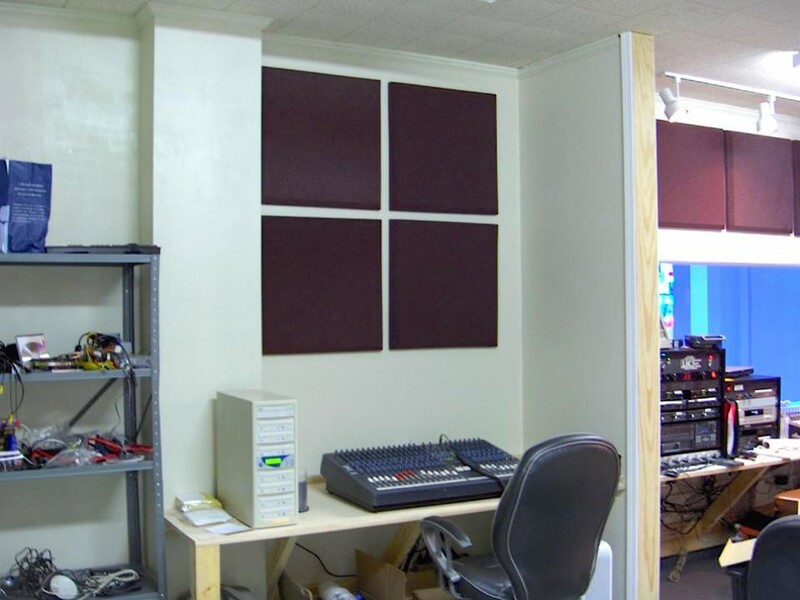 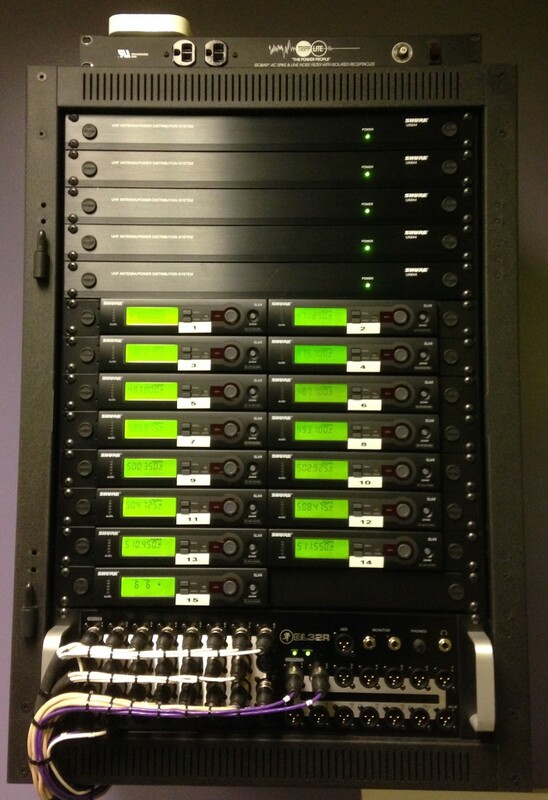 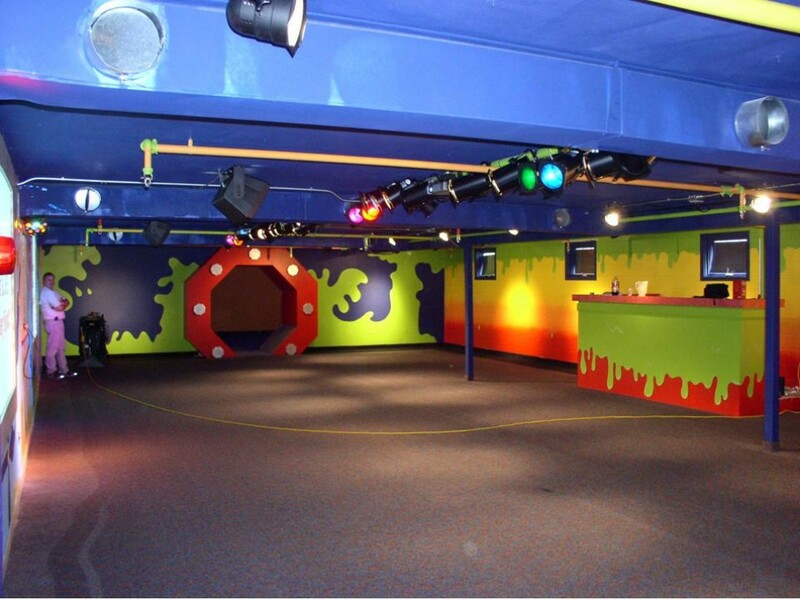 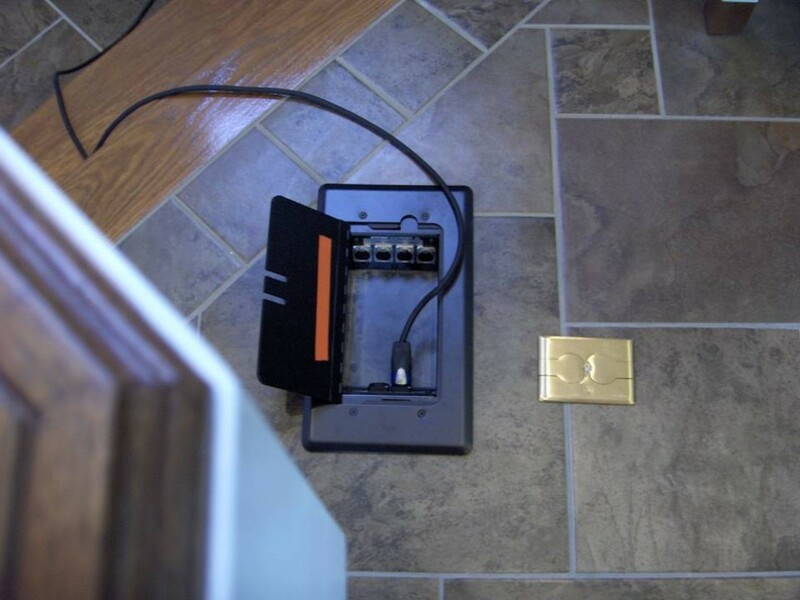 Our installations deliver sound to every part of the facility. 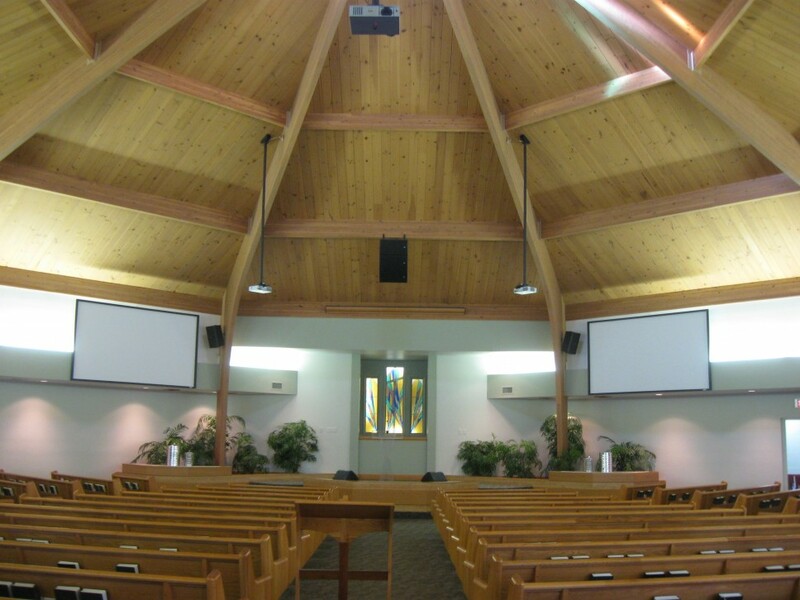 Click the arrows of the galleries below to view our audio, video and multimedia systems. 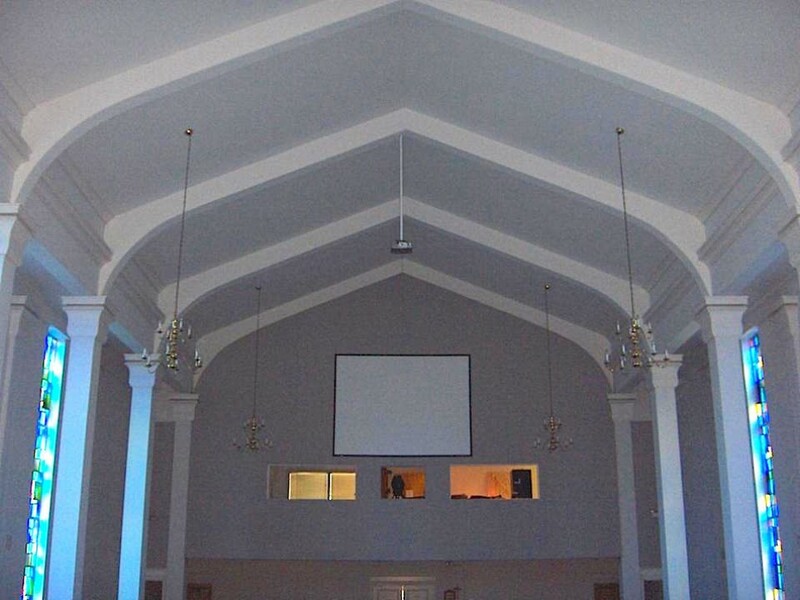 One of Nashville's historic treasures—and one of the country's best-preserved exampes of Greek Revival architecture—this 1851 building was badly in need of a a PA update (we found components dating from the 1940s). 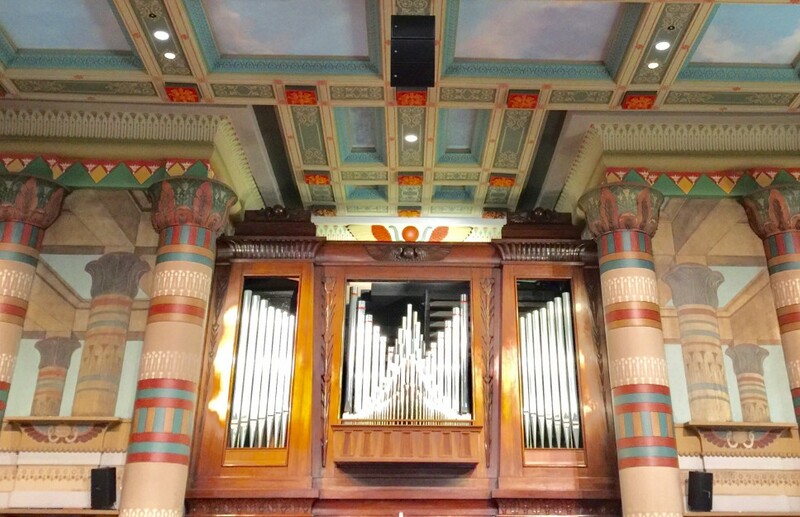 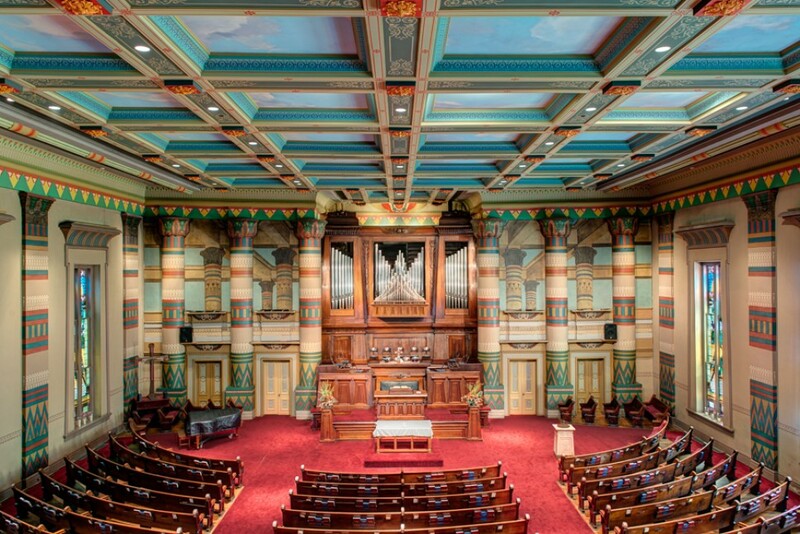 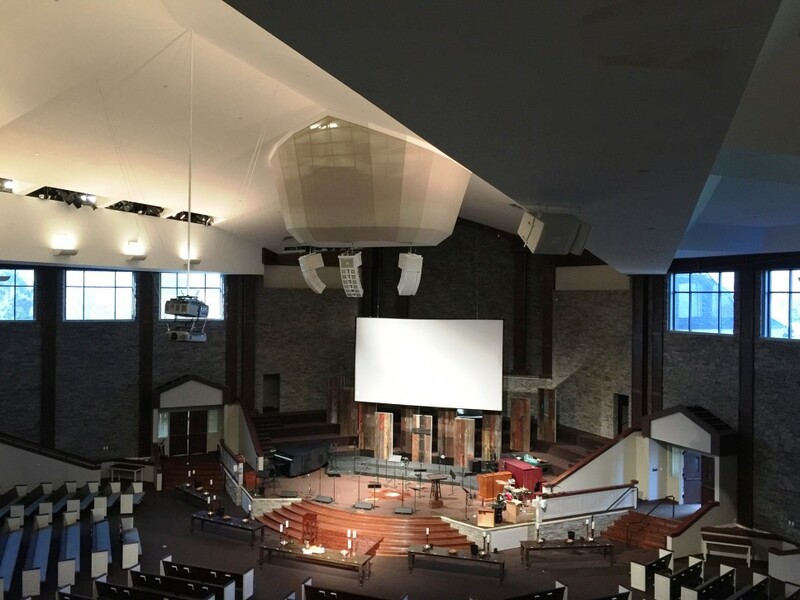 A new speaker array, amp racks and remote digital mixing console brought the sound system up to date without disturbing the sanctuary's impressive aesthetic. 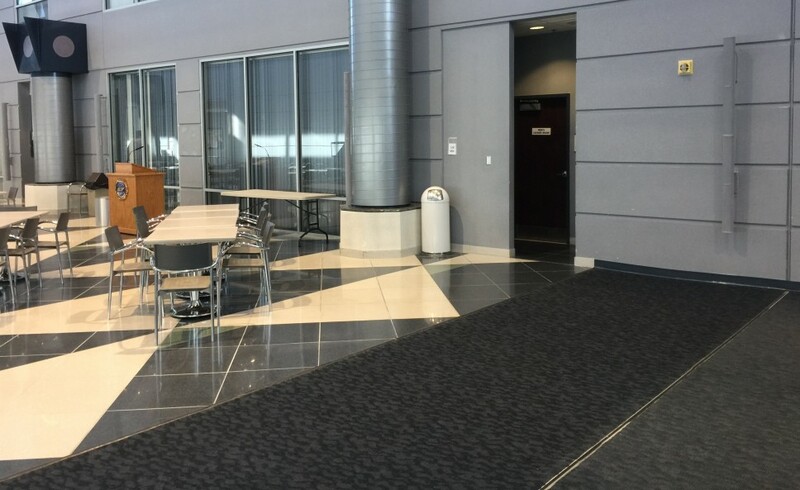 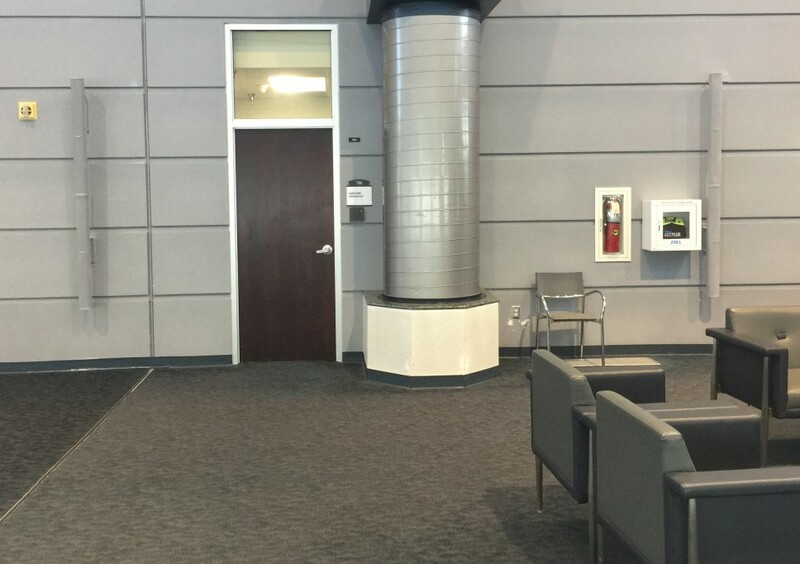 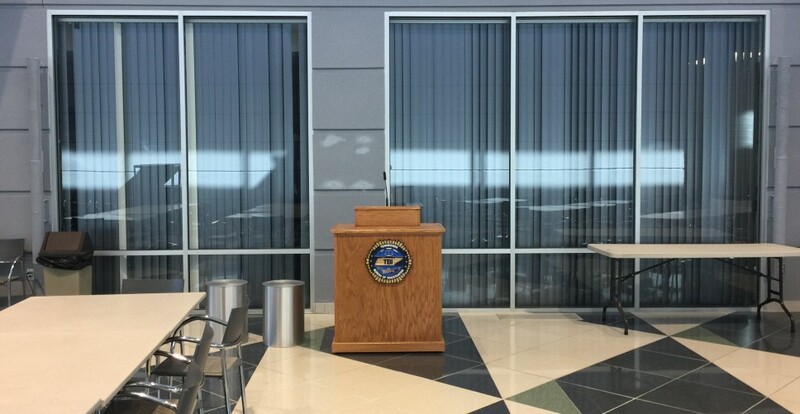 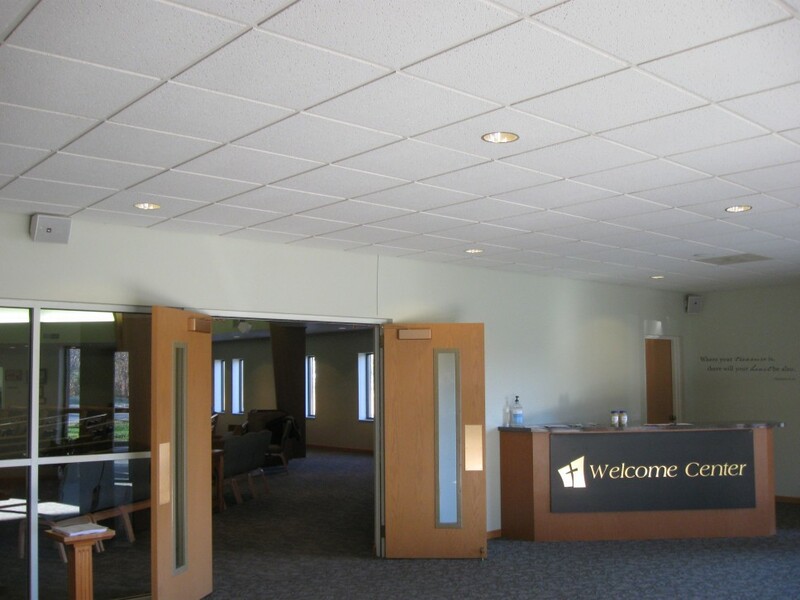 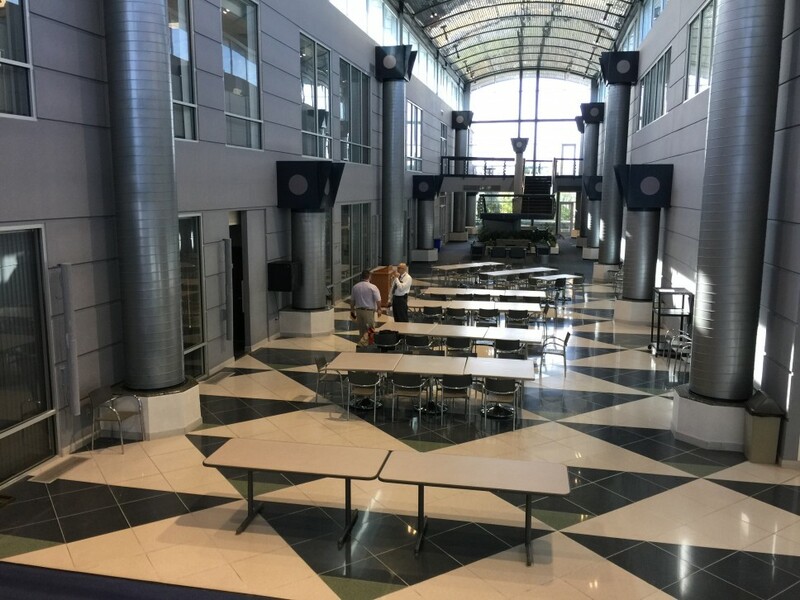 By installing a series of custom-painted Bose MA-12 speakers along a single wall, Corner AV was able to transform a live, reverberant atrium into a usable meeting space with much greater definition and sound control. 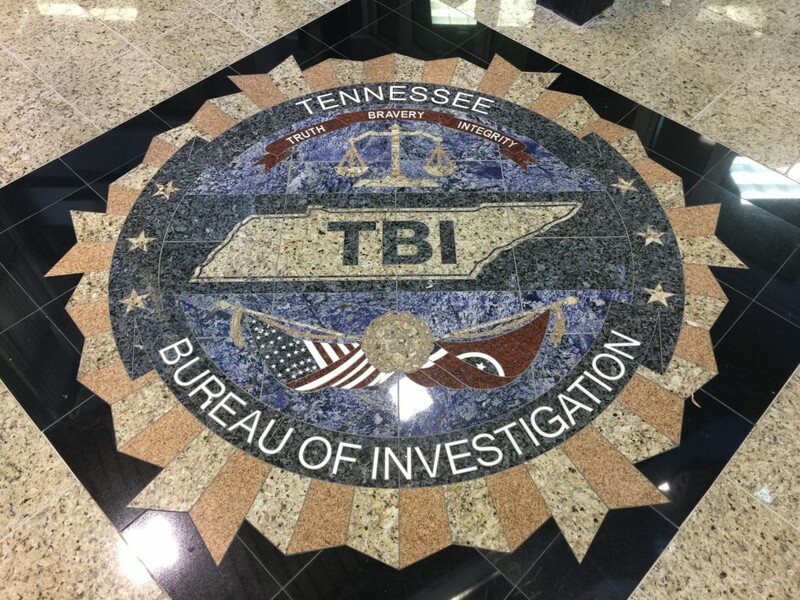 Now TBI staffers can hear more clearly—and with less volume. 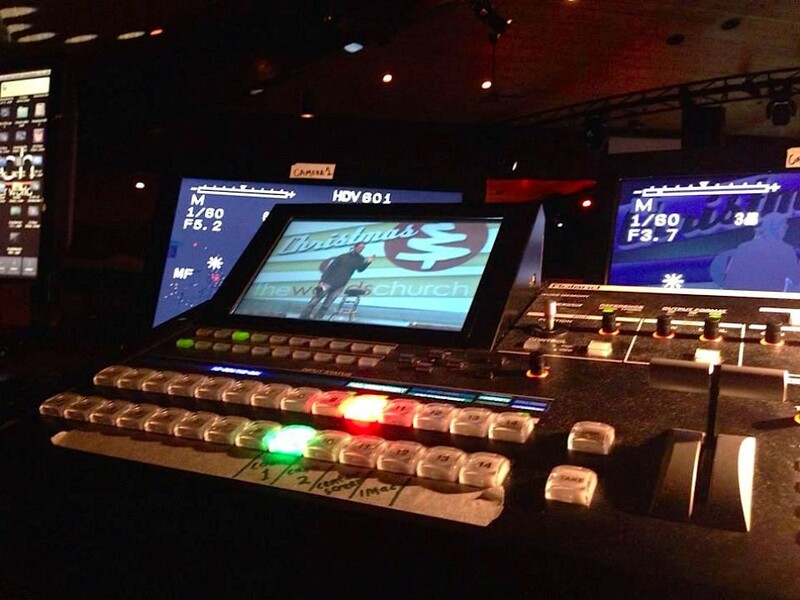 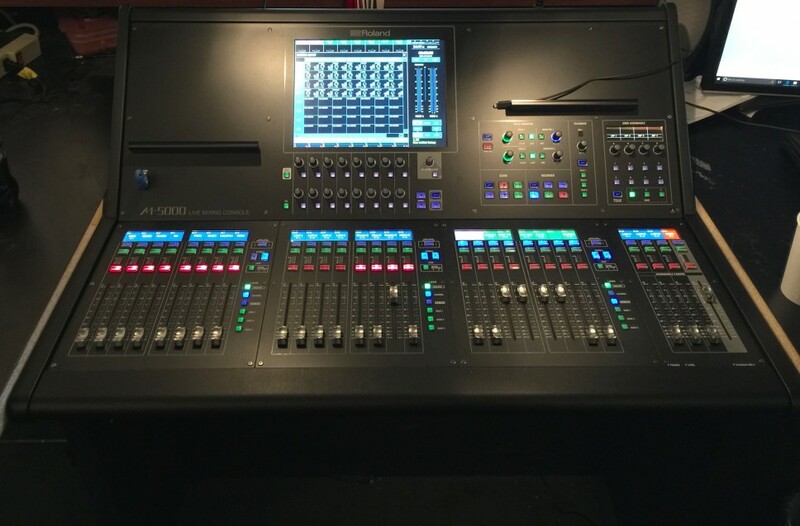 A QSC Touch Mix console is easily operated by either tablet or touch screen. 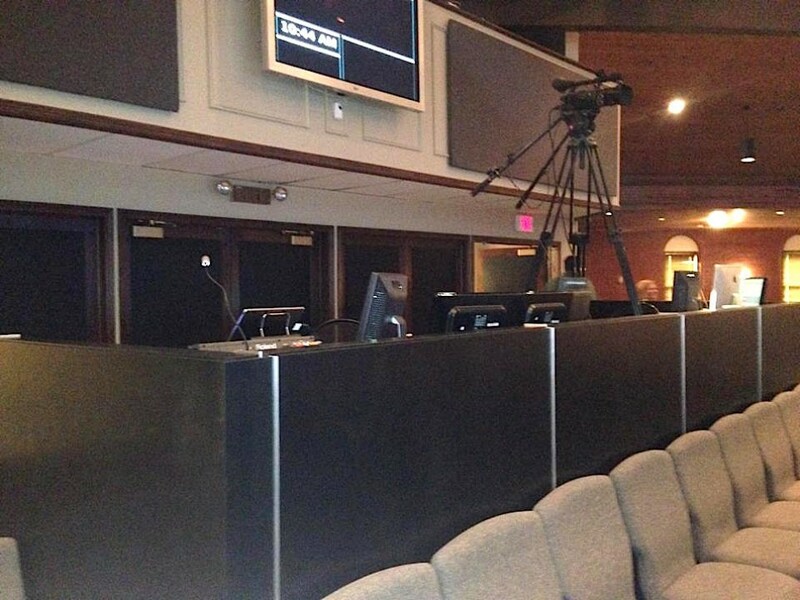 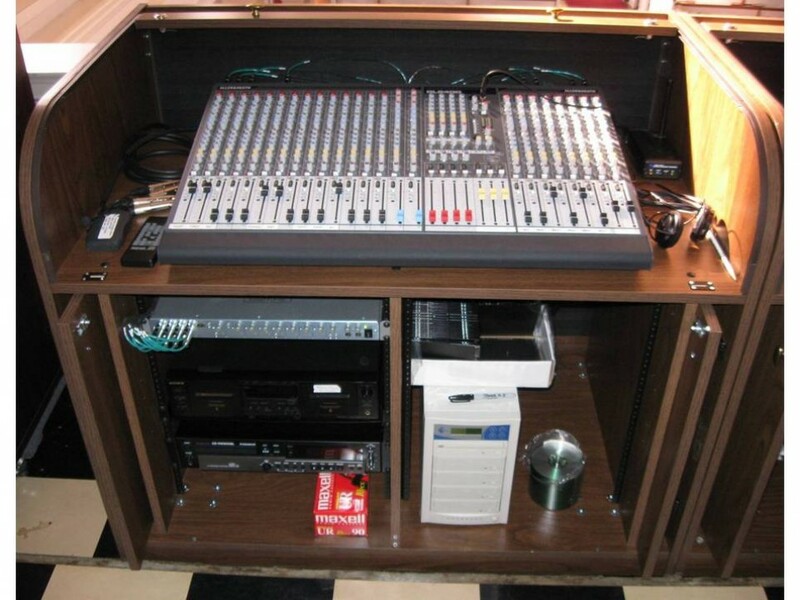 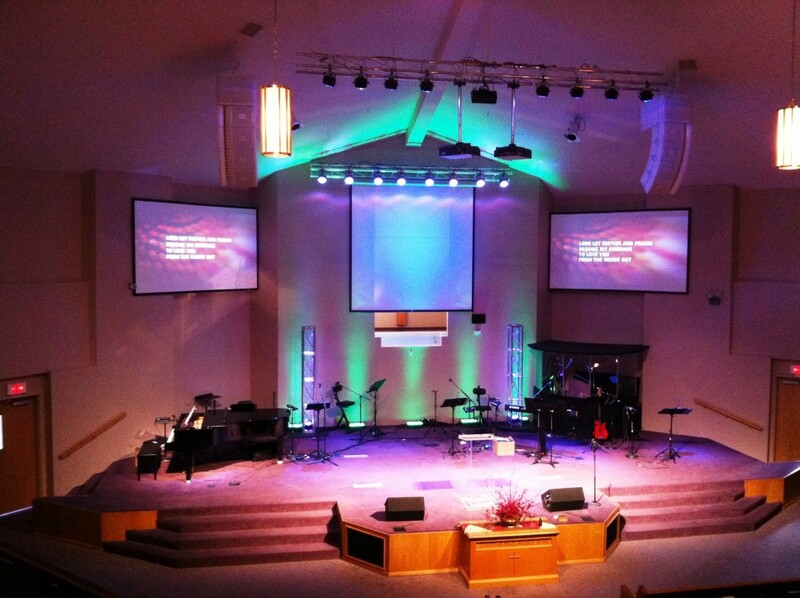 Corner Audio/Video completely replaced the sanctuary sound system, including new wiring and front-of-house mix console. 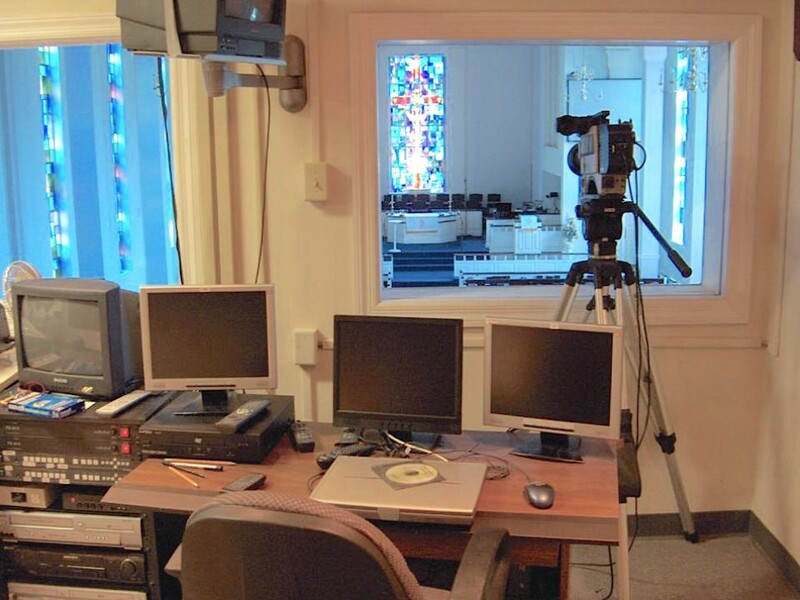 The multi-campus Woods Church relies on cutting-edge technology to maintain its strong impact within the suburban Detroit community. 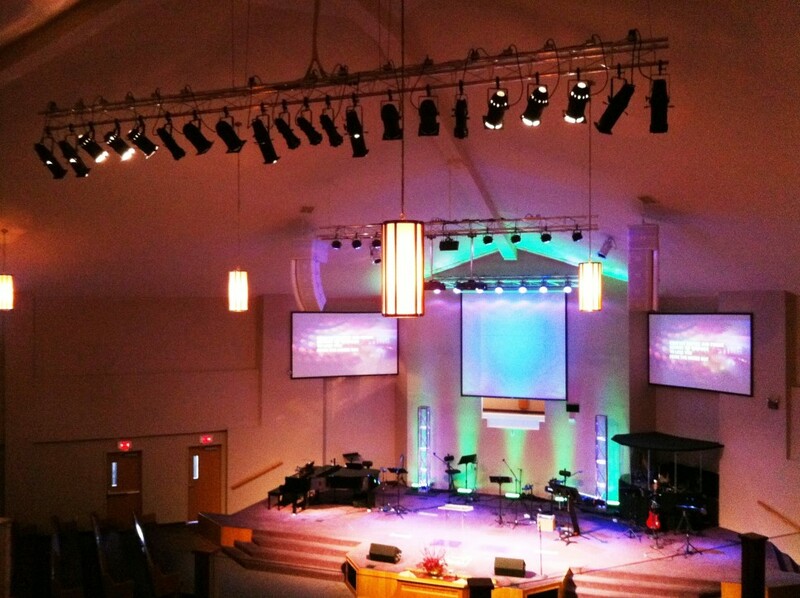 Corner Audio & Video designed and installed new audio, visual and lighting systems, integrating them into the church’s different facilities. 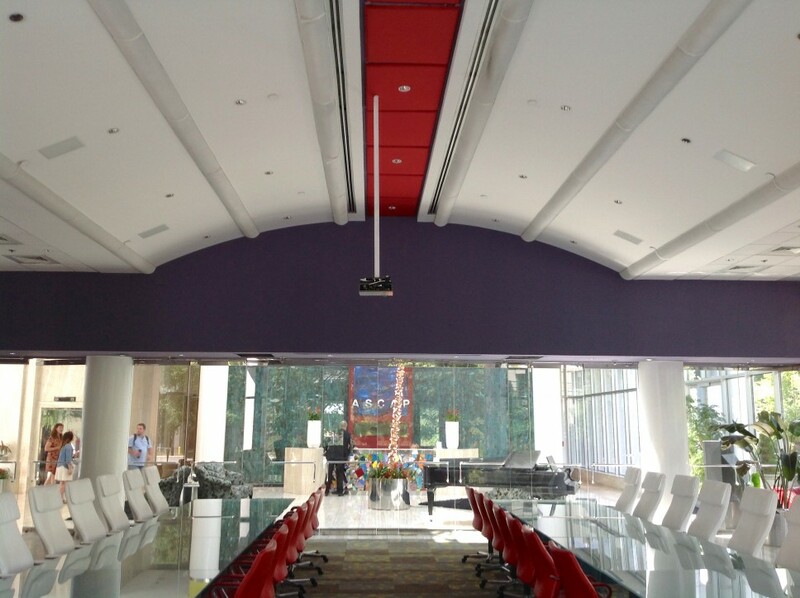 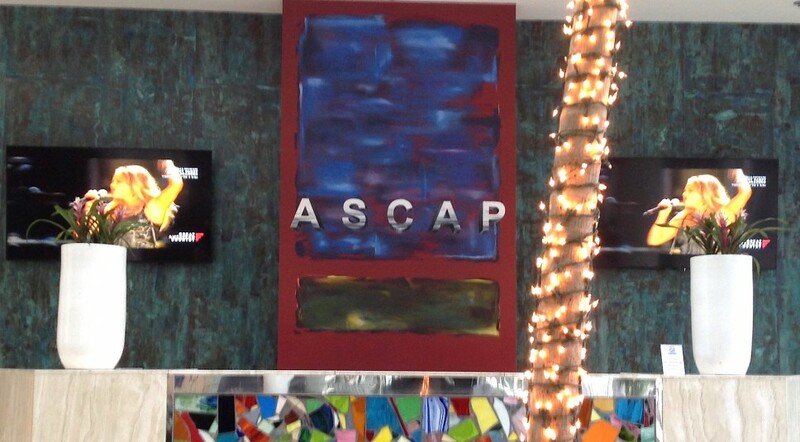 ASCAP’s Nashville boardroom needed a new audio-mixing and video system to handle meetings, events, artist performances and “No.1 parties” to celebrate Music Row writers and their chart-topping hits. 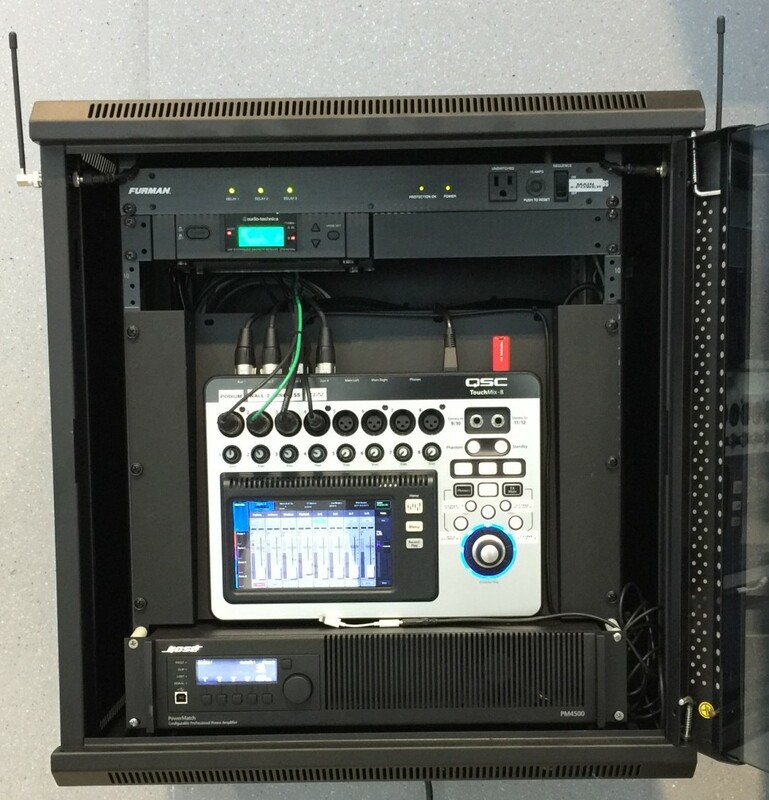 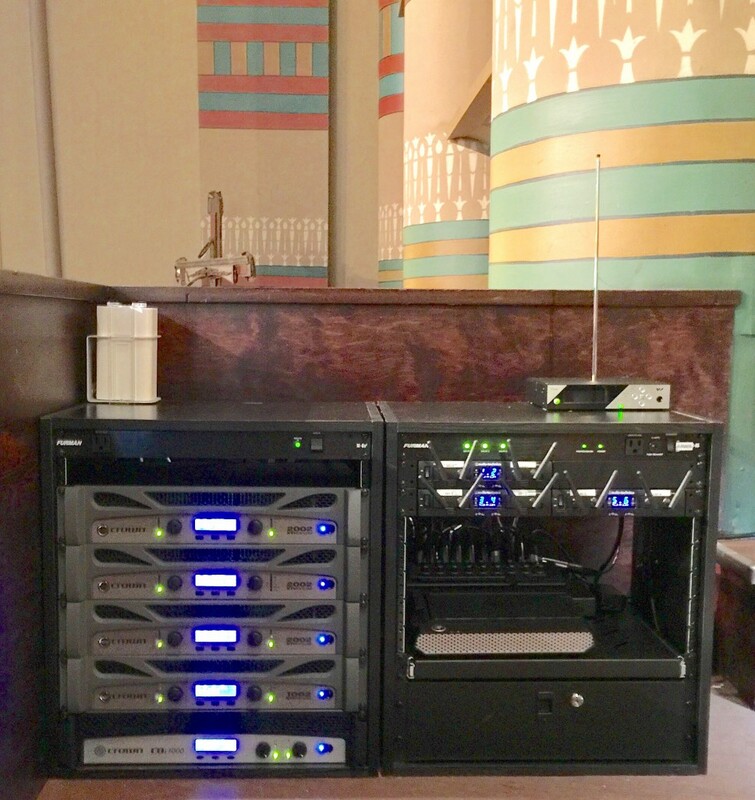 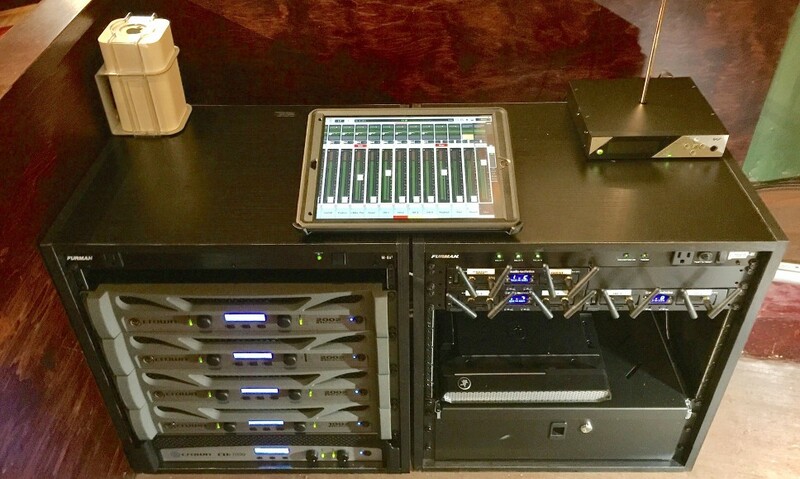 A new Mackie 32-Channel Wireless Digital Mixer replaced the old wall-mounted system, allowing complete wireless iPad control of the entire mixer— easily handling 18 wireless mic systems, plus audio and video playback sources, with room for more. 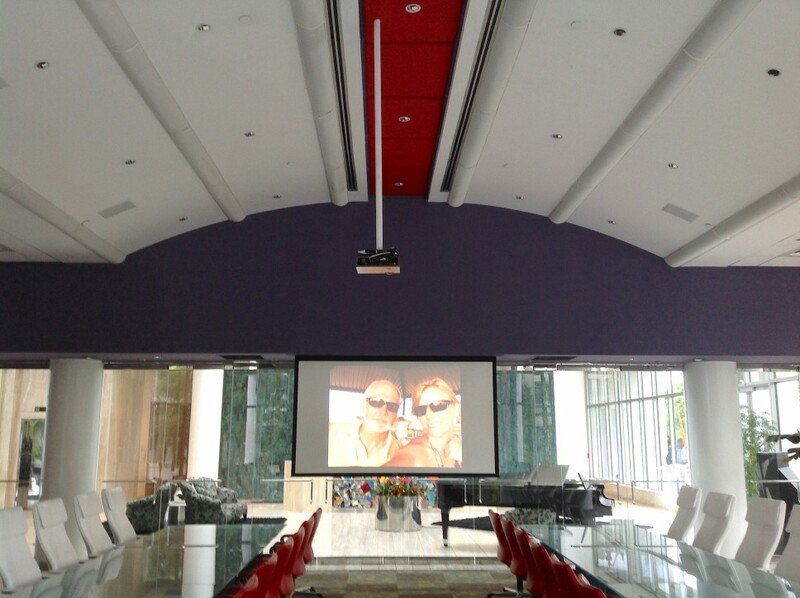 We also installed a 5500-lumen DLP video projector and 9' wide retractable video screen that tucks into the ceiling soffit — plus two 70" flat screen TV's in the lobby—all accessible via cable or Apple TV for wireless display. 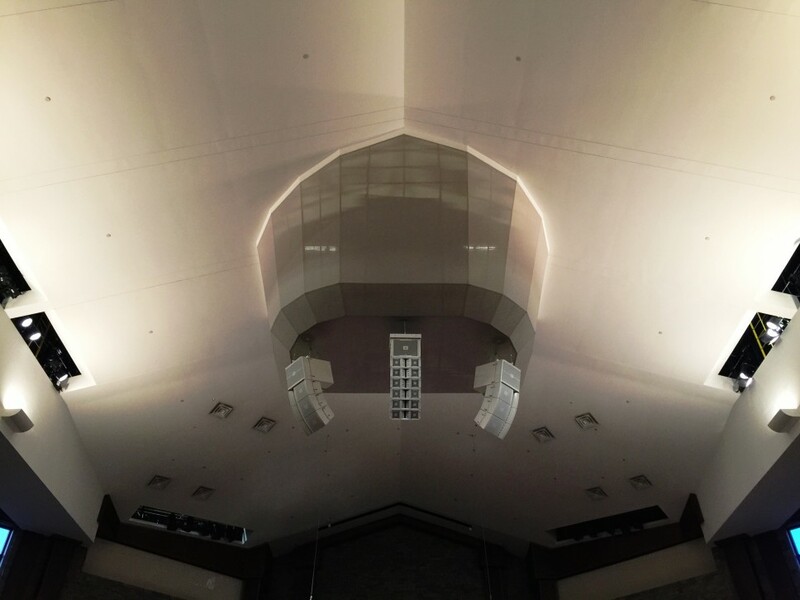 To get sound and visual presentation to every part of the contemporary, high-domed sanctuary, a multi-directional installation worked best. 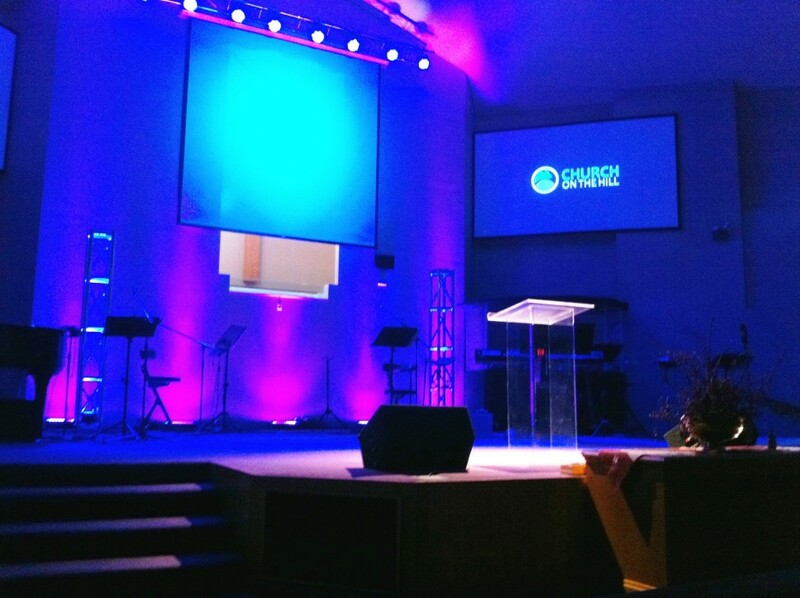 We used 220-degree speaker placements and video projection screens, and added time-aligned speakers in the overflow seating area—plus speakers in the welcome center. 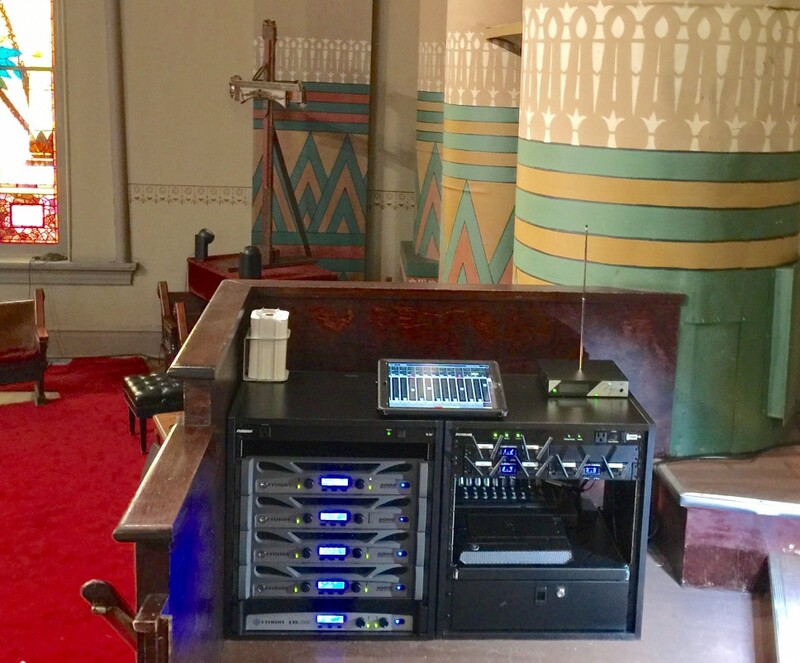 The control center includes a new Roland digital console and portable wireless mic system, allowing the wireless system to be transported to the church’s Fellowship Hall. 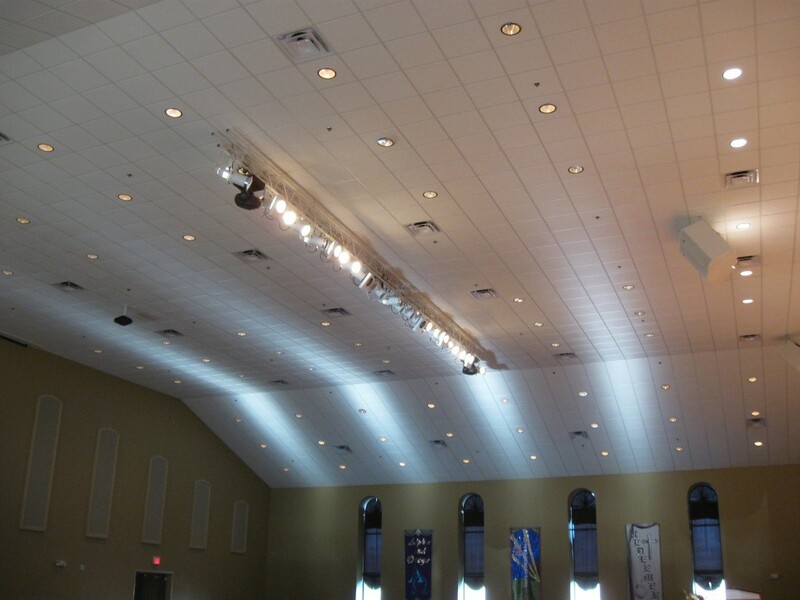 This high-ceilinged auditorium called for two overhead speaker arrays with floor monitors—leaving sight-lines open—plus a new audio console and power amplifiers. 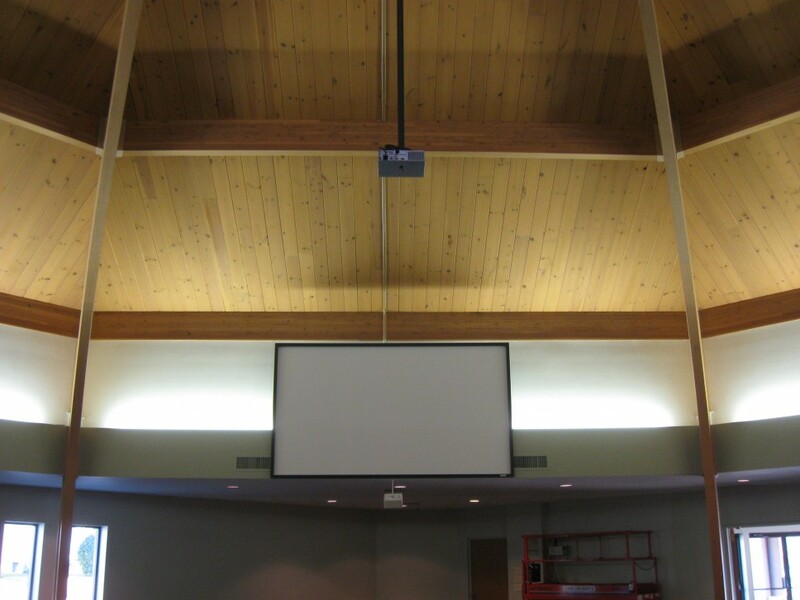 The video presentation includes three main projection screens and a blended incandescent/LED lighting system. 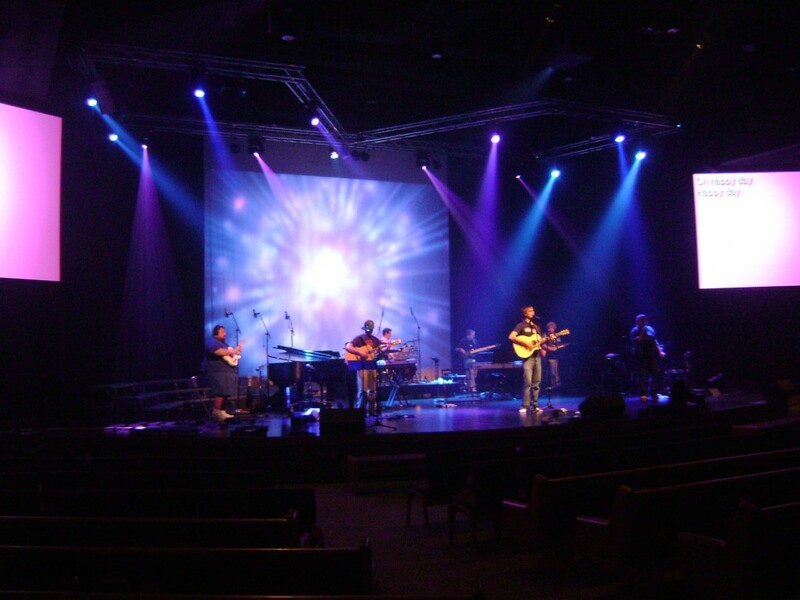 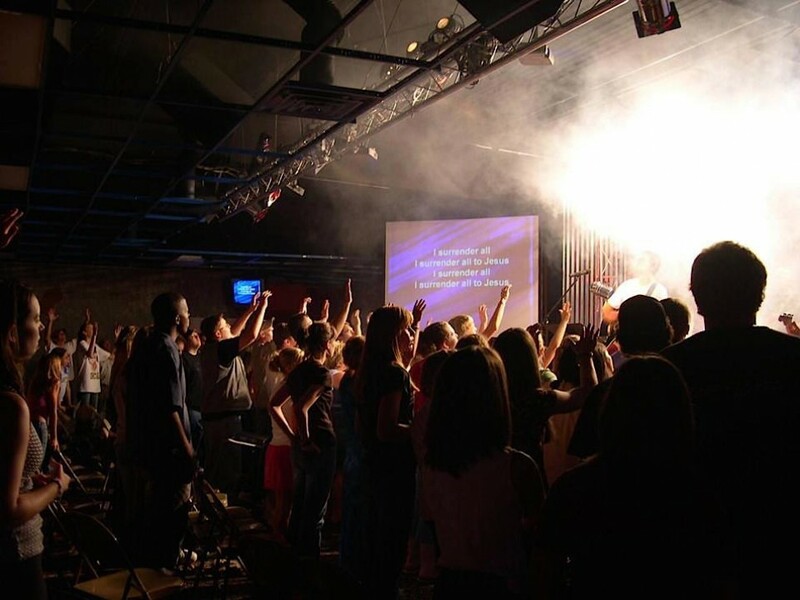 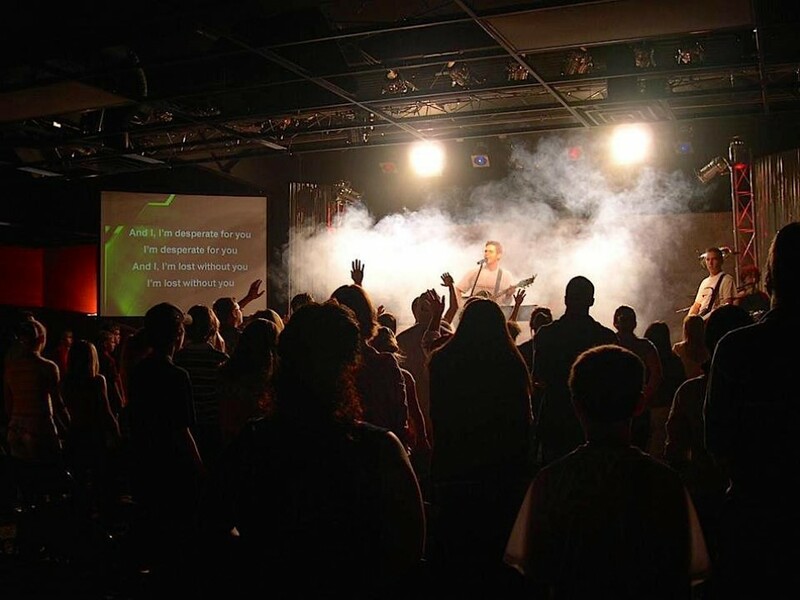 Metro Baptist’s worship services rely heavily on music, and the system design supports both choir and orchestra in addition to the ministry team. 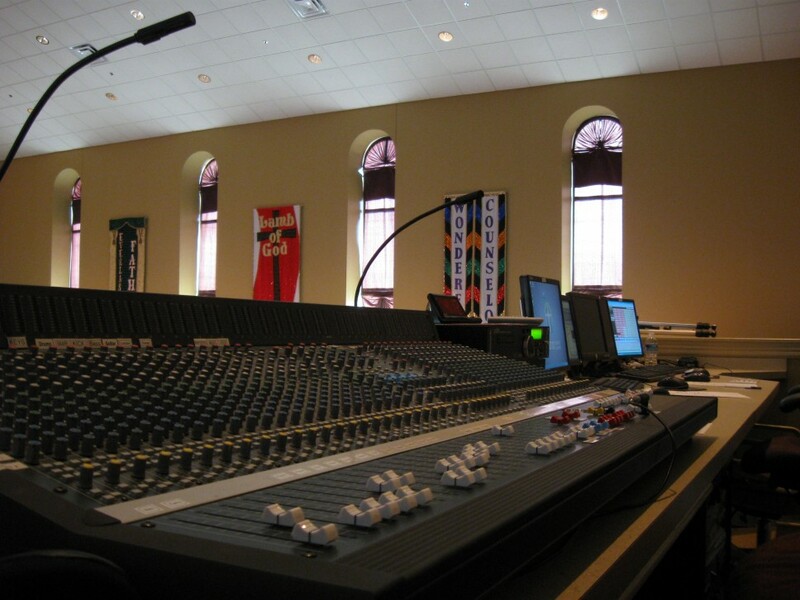 A full 32-channel mixer, overhead speaker array and monitors support multiple microphones (including 12 wireless mics) across the full width of the altar. 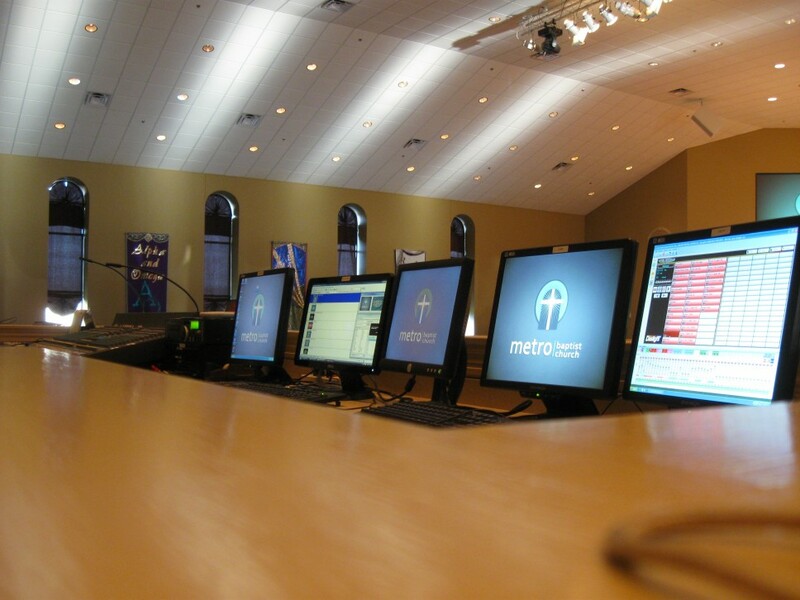 A computerized control center runs lighting and video projection screens. 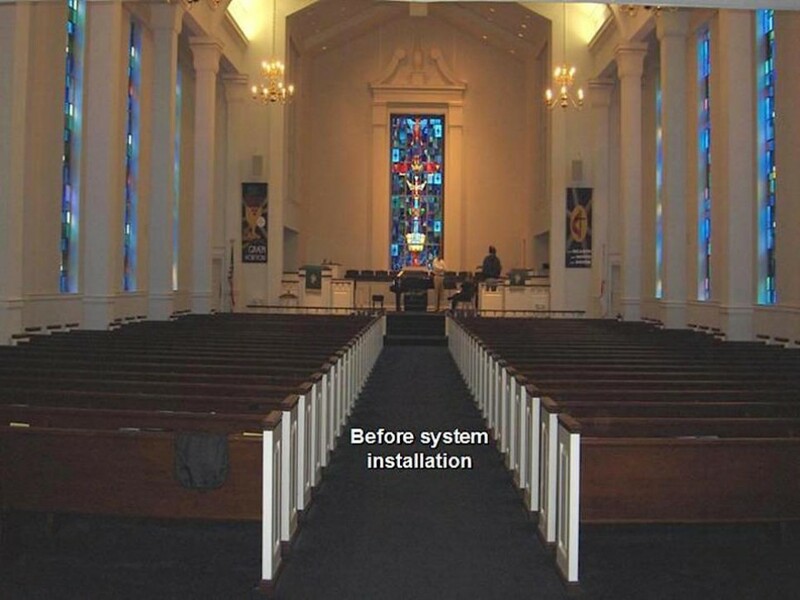 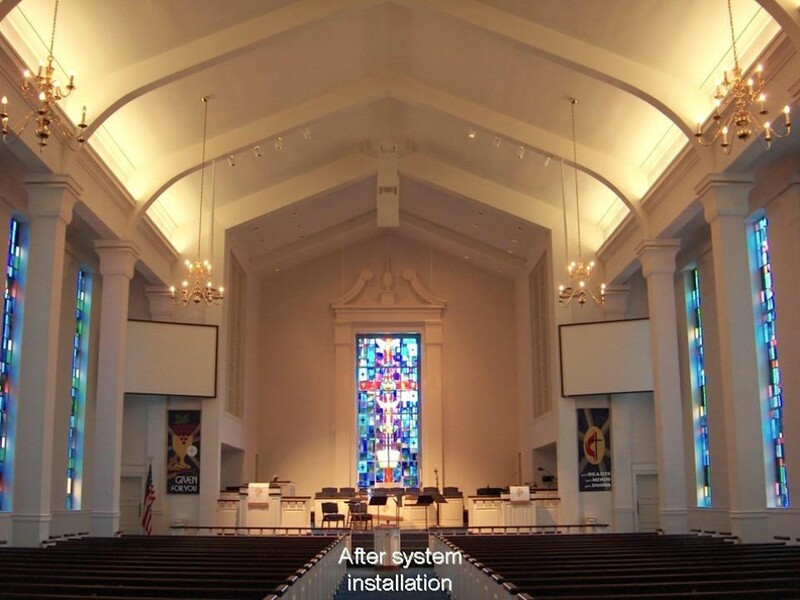 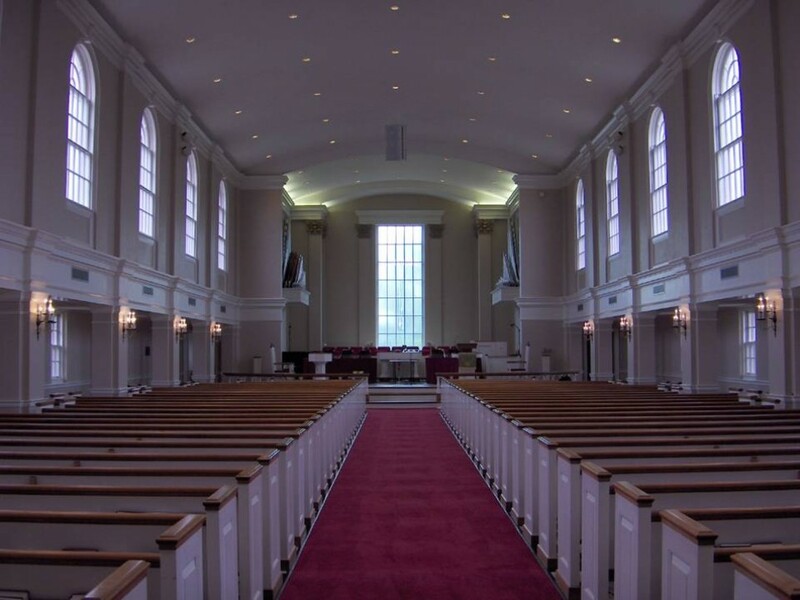 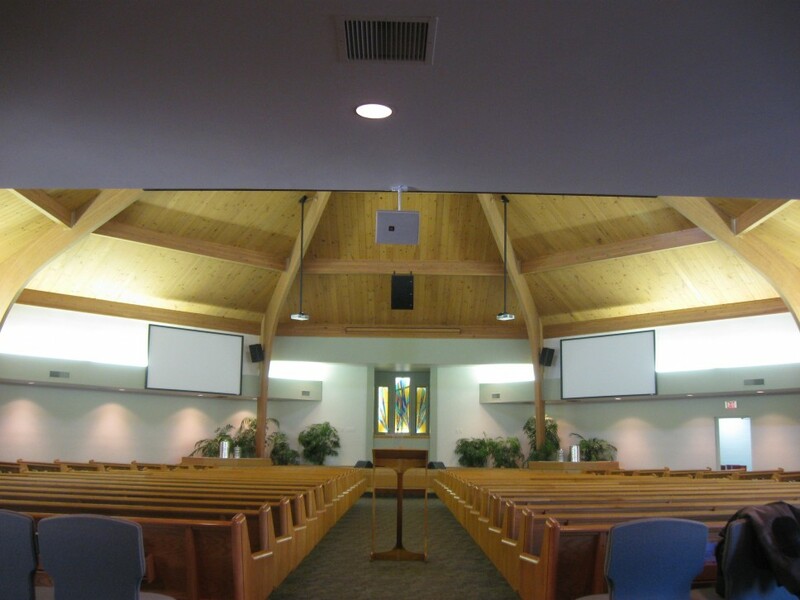 Integrating traditional sanctuary architecture with full production capabilities, the system design called for audio speaker arrays, multimedia projection and a new incandescent lighting system (replacing the old fluorescent lighting). 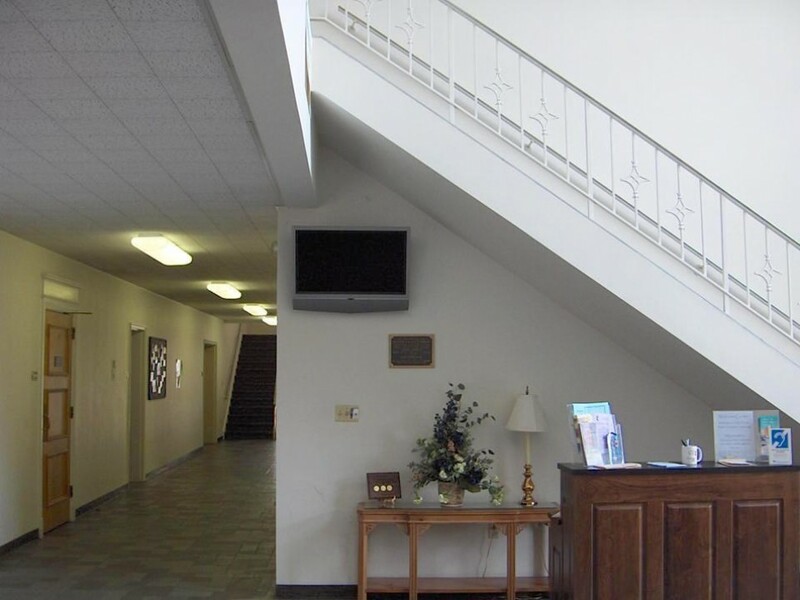 We also added video monitors/communication systems to the outer narthex and nursery. 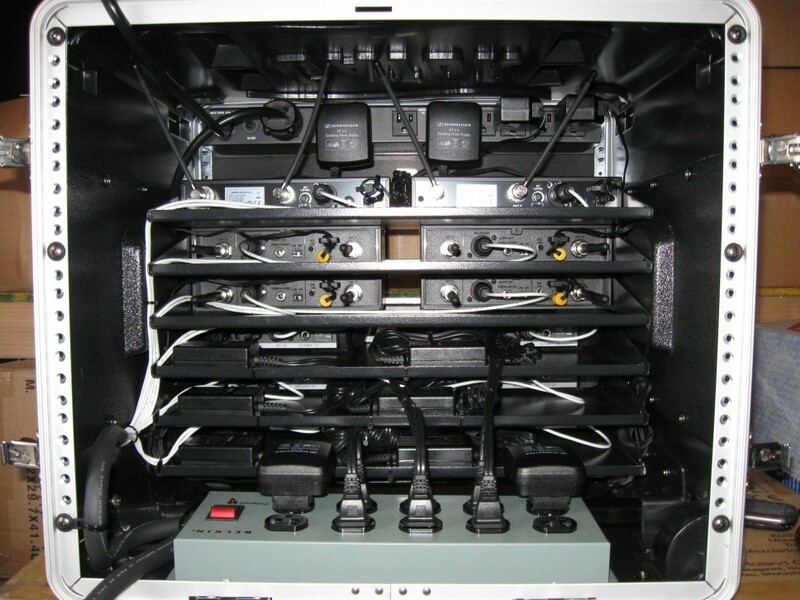 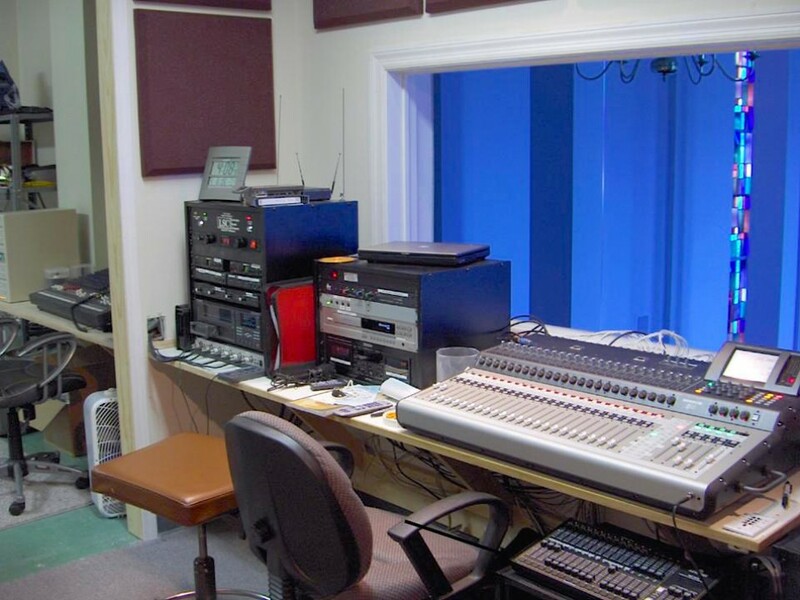 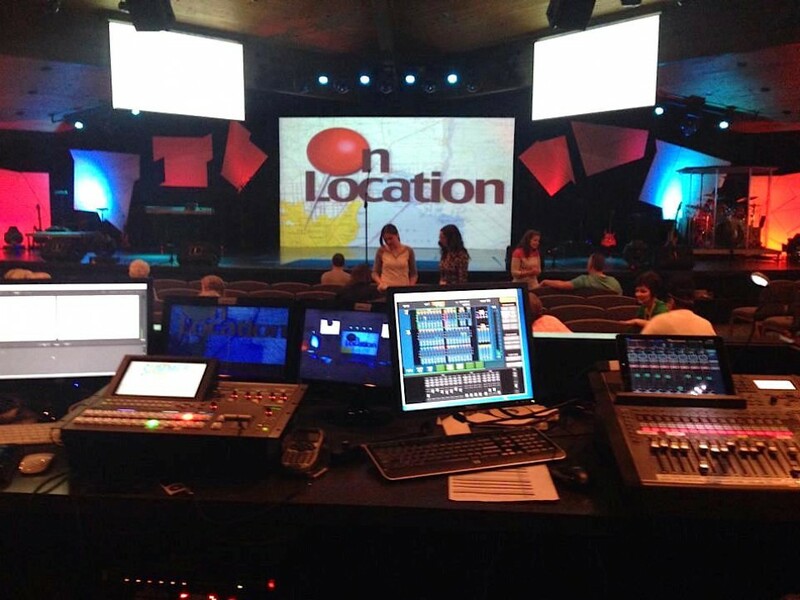 The entire system is controlled from a state-of-the-art AV production suite including 24-channel recorder and console, lighting control board, DVD copy facility and video record/playback equipment. 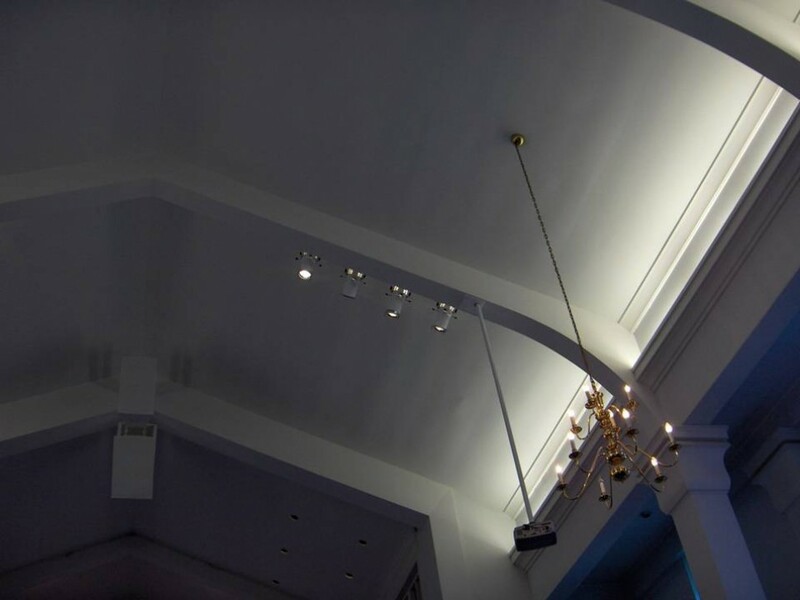 Calvary’s traditional sanctuary design called for inconspicuous sound reinforcement using state-of-the-art production tools. 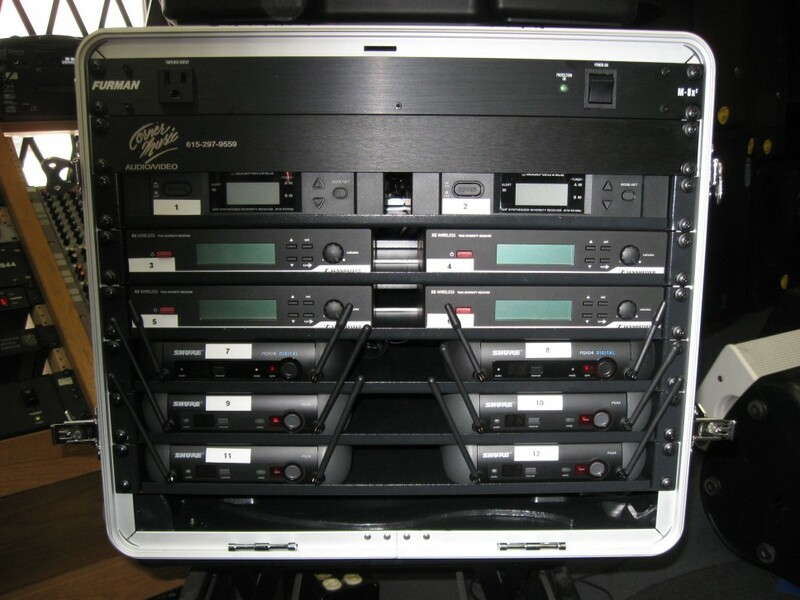 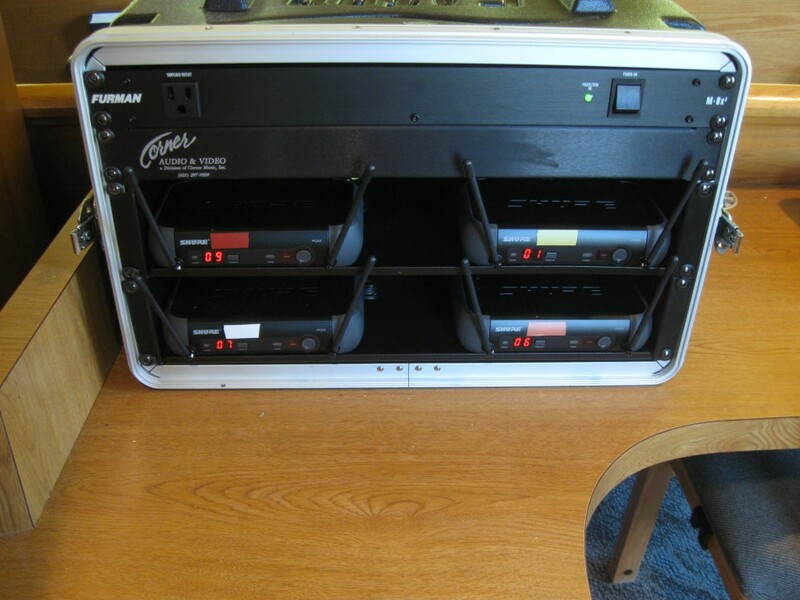 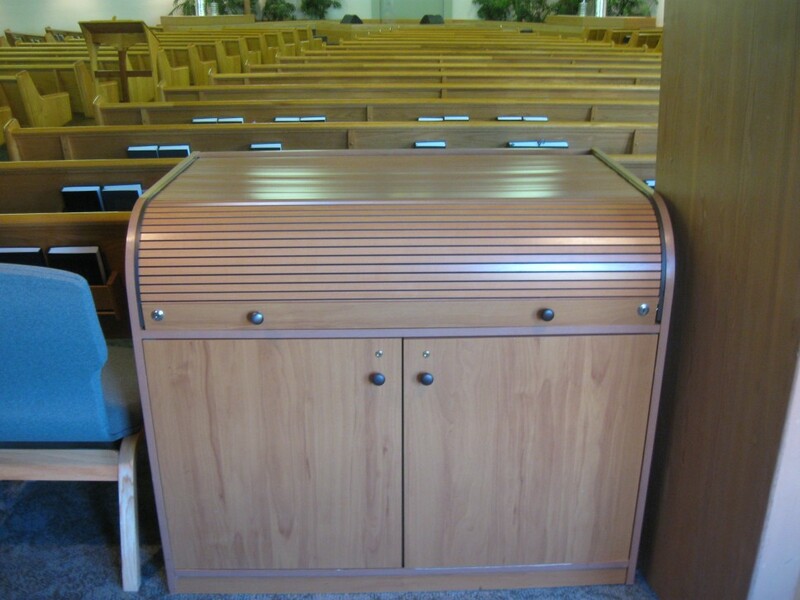 We designed a system that included a new main speaker cluster, choir and floor monitors, and discreet microphones for the pulpit and choir (plus additional wireless mics), with an audio pre-set selector for quick, foolproof speaker selection. 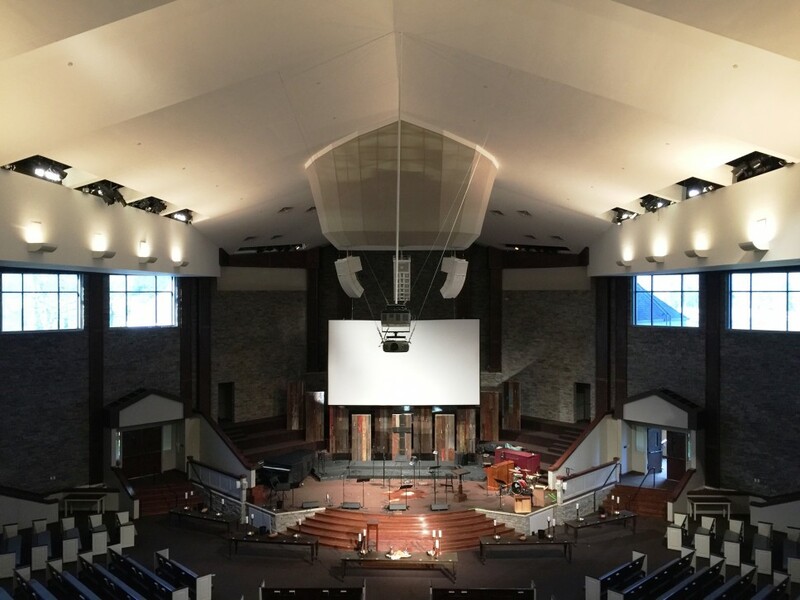 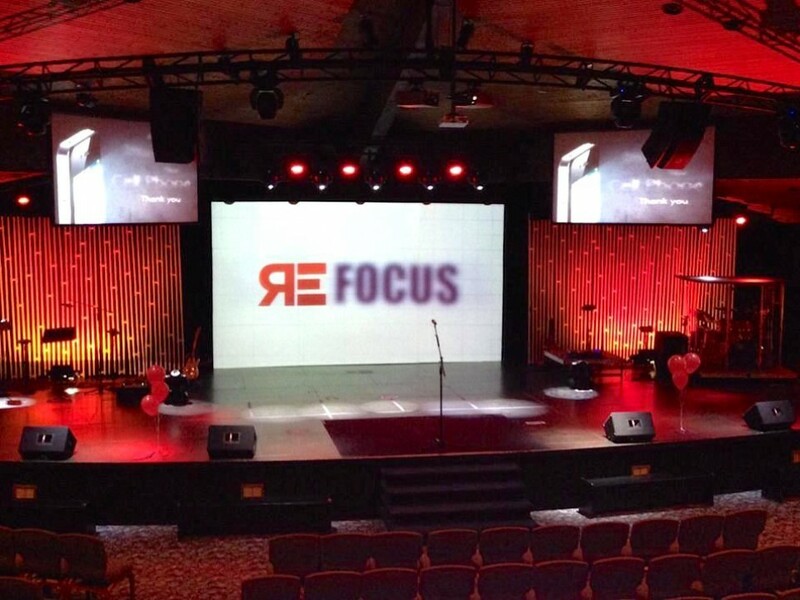 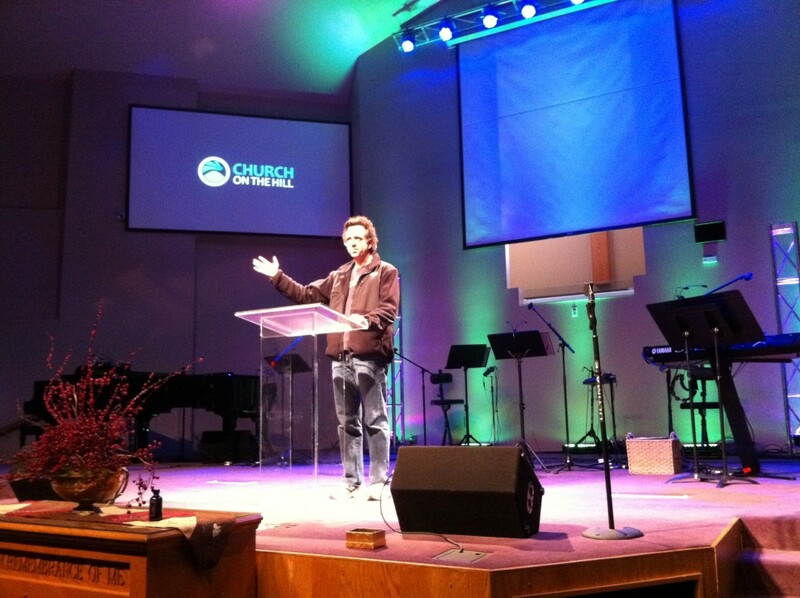 The redesign for Beavercreek’s auditorium-style sanctuary included full-theater back curtain, concert-style audio featuring JBL line array speakers and monitors, and Roland RSS digital console. 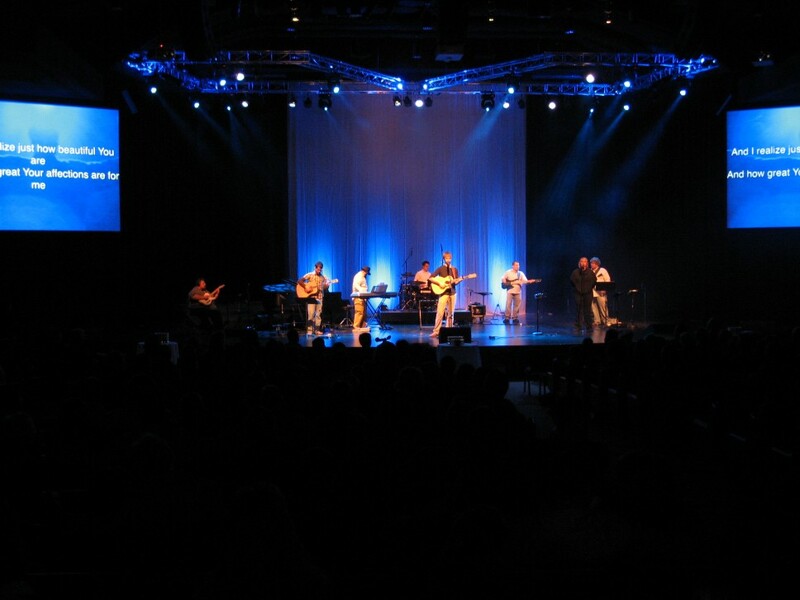 Along with theatrical overhead truss lighting, we installed a four-screen video system—three onstage, one in the rear—with Image Magnification (I-Mag) capability.